It's Time to Plant the Seed of Rural Youth Entrepreneurship | Kwaddle | Enrichment For Kids. Better For Parents. Living in rural community shouldn't be a Road Block for your child. It can be the door to anywhere in the world they want to be and anything they want to do. 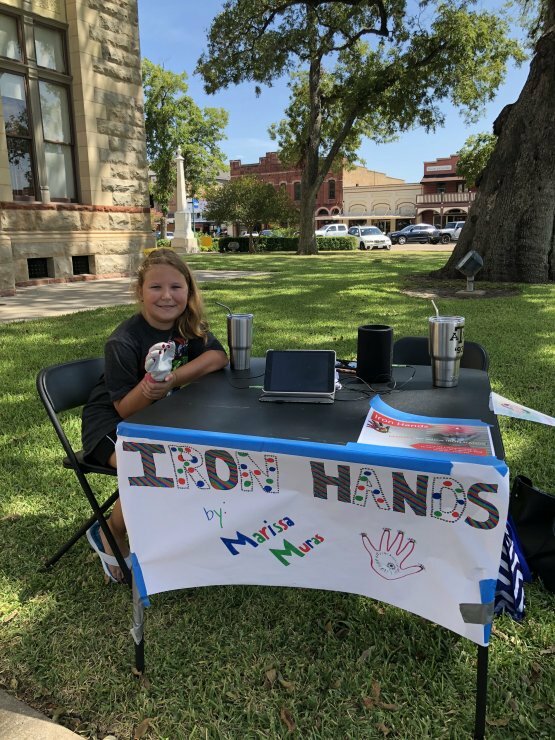 Meet Marissa, Age 9, Founder of "Iron Hands"
Marissa started Iron Hands after taking apart her toys and discovering small solar panels. Through The PlatForum's Rural Entrepreneurship Program, Marissa and her mom were able to connect to a local mentor and entrepreneur, who was able to help them use the solar panels to create these amazing laser gloves. Marissa now sells her gloves both online, and at the local farmer's market. She made over $100 at her first market! The PlatForum Academy's Rural Youth Entrepreneurship Program gives parents the content and community they need to confidently walk their child through the process of identifying a passion, and turning that passion into a business they are proud of. Entrepreneurs aren't just in urban communities. The original startup founders started those cities when nothing was there before! Kids in this Rural Youth Entrepreneurship Program are gaining highly valuable and relevant experience with web development tools, team and project management, resume building, and community engagement and collaboration. See how your child can participate, from anywhere.